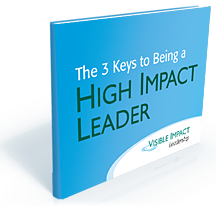 Visible Impact Leadership (VIL) is a company devoted to helping leaders like you make successful transitions into top positions with higher levels of responsibility. By coaching you to elevate the effectiveness of your communication, develop strategic relationships, and inspire change, VIL helps you create a valuable and visible impact. The idea of founder Heather Andersen, Visible Impact Leadership was created based on the principle that the most compelling changes you can make are those that are visible and are able to be described or measured by others. 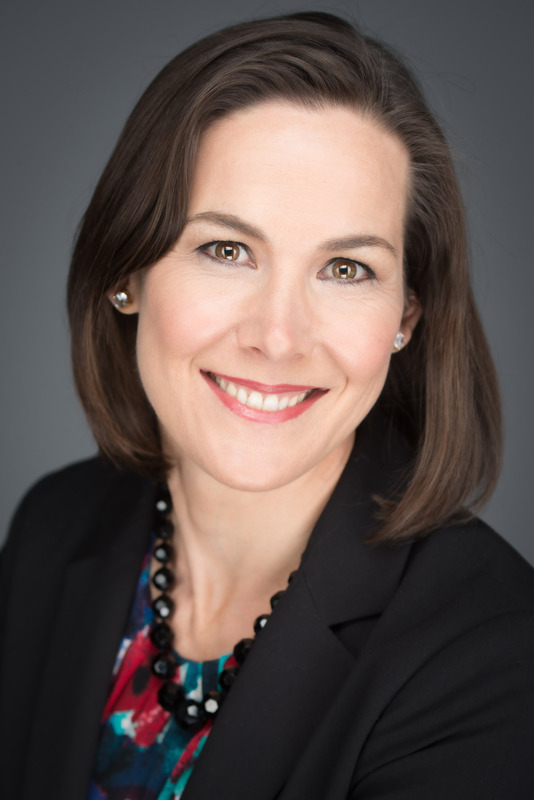 A leader among leaders and a well respected executive coach with over a decade of experience as a program facilitator, cross-cultural trainer, strategy consultant, and manager, Heather brings a rare blend of real world experience and global perspective. In addition, her understanding of neuroscience, emotional intelligence and behavioral change allows Heather to help you master the mindset you need to reach your goals quickly and develop as a strong and influential leader. Before I went to work in corporate America I spent my days navigating rapids as a rafting guide and traversing the mountains of Italy as a cycling and hiking tour leader. This work fed my love of the outdoors and working with people; however, I felt pulled toward greater challenges. I wanted to work with people in business settings where policy, culture and personalities collide in a more dynamic way. So, I traded in my bike saddle and hiking boots for an MBA. Eventually I took the leadership lessons I learned about group dynamics and what motivates people and brought them into the boardroom. I started working with fortune 500 companies in industries ranging from financial services to pharmaceuticals and technology. During that transition I discovered that my gift was helping people communicate and understand each other better. Whether it was working with a manager and their team or coaching someone to collaborate more effectively with peers, I found roles that allowed me to leverage this gift and make the greatest visible impact. In order to feed my passion for travel and diverse cultures I accepted assignments in India, China, Australia, Singapore, Denmark, France, Germany and points in between. As a consultant, program facilitator and coach, I facilitated custom leadership programs, developed content, and delivered trainings on how to work on global teams. One of my favorite projects was a six month assignment in Bangalore where I helped India based IT managers from a multinational IT company work more effectively with U.S. managers. My goal has always been to help my clients shift their actions and perspective in ways that allow them to breakthrough obstacles and become the leaders they want to be. Drawing on my rich and varied experiences I am able to help my clients create the little ripples and small shifts that are the catalyst for big change. And that’s exactly what I’d like to help you do. I have been in a situation similar to yours and I’ve coached many others who have traveled this path. I too have secretly doubted my abilities in a new role, felt frustratingly misunderstood when I thought I had been clear, and worried about not meeting the expectations set before me. I have run out of energy and time and saw the stress eat away at my personal life. But, most importantly I have learned that there is a way out of each challenge and the path to developing your leadership is a rewarding one. Your ability to succeed despite the obstacles that sometimes seem insurmountable is what will allow you to experience the level of success and impact you desire. I am ready to partner with you to help you through your challenges so you can meet your goals with more clarity and ease. Find out more about my executive coaching program here. Find out more about my group coaching program here. Heather Andersen began her leadership training as a white-water rafting guide on the Rogue River and cycling tour leader in the mountains of Italy. This work fed her love of the outdoors and working with people; however, after years in river gorges and mountain trails she felt pulled toward greater challenges. So, she traded in her bike saddle and hiking boots for a MBA and took the leadership lessons she learned outside and brought them into the corporate world of consulting. With almost two decades of experience as an executive coach, facilitator, and well-traveled cross-cultural consultant, Heather helps recently promoted leaders transition into top roles with greater ease. She helps them capitalize on their strengths, open their eyes to what hinders their success, and shift their behaviors for good. Having lived and worked around the world from India to Italy and many points in between, Heather also has a passion for working with global leaders and those working to bridge cultural gaps whether between departments or countries. Heather has worked with a wide range of Fortune 500 clients across industries, including: Cisco Systems, Dell, Gap Inc., Eaton Corporation, Ernst & Young, John Deere, KLA Tencor, Microsoft, Pricewaterhouse Coopers, Seagate Technology, Texas Instruments, UnitedHealth Group, and Visa. She has been a coach in Harvard Business School’s Executive Education programs: Women’s Leadership Forum and Professional Leadership Development Program. Heather holds a Bachelor’s Degree in Cultural Anthropology from the University of New Hampshire, and an MSBA in International Business with a focus on Cross-Cultural Communication from San Francisco State University. She is a New Ventures West Certified Coach. She is certified in FIRO-B, Highlands Ability Battery, NLP, and Bar-On’s EQ-i (emotional intelligence inventory) and EQ 360. Heather brings a unique combination of skills, experiences and insights to the table with her clients and they appreciate her ability to get to the core of their issue with clarity and compassion so that new, more compelling paths to success can be blazed.